Over a week since the 2018 One Lagos Fiesta ended with the New Year Crossover on December 31, the Eko Atlantic City remains a centre of attraction, as visitors and tourists still troop in and out to capture the Aro Meta statue erected by Oracle Agency for Star Larger, one of the major sponsors of the fiesta. 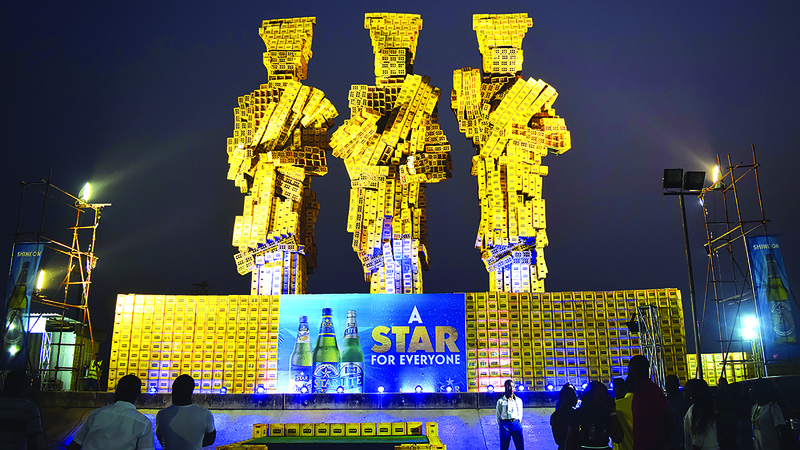 For this edition, Star and its experiential agency –Oracle Experience Limited, provided great atmosphere for fun seekers, especially with the building of 60ft Aro Meta statue, which many refer to as ‘three wise men’ made out of over 10,000 crates of the lager and reminds Lagosians of their roots. 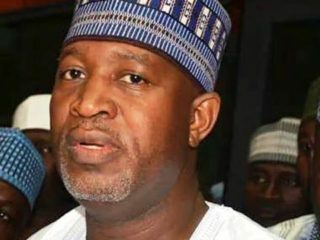 Speaking on how they came about the concept for the statue, the Chief Executive Officer of Oracle Experience Limited, Mr. Felix King, said what Oracle Experience Limited has done was to bring life into the age long belief of three wise men that stand for Welcome to Lagos as seeing in some towns and cities. 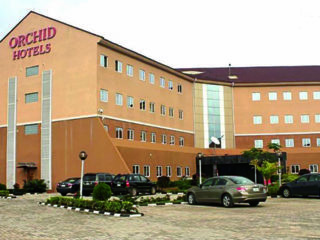 Speaking on how long the structure would remain at the Lagos Atlantic where it was erected, King disclosed that as happened last year with Eyo when Lagos State Government implored his company to leave it for a while, the three wise men will also remain at the location for at least one month, in line with the recent discussion Oracle had with the state government. “This year again, we wish to leave it for at least a month before pulling it down. 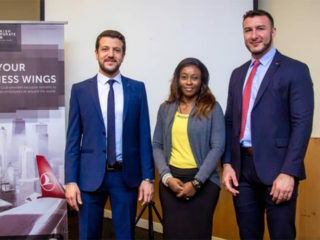 It is the belief of all stakeholders that it will go a long way in connecting with Lagos as well as connecting Lagosians with the Star brand,” King added. Sponsored by STAR, the One Lagos Fiesta is known to be the official New Year countdown event in Lagos State and the biggest in Africa. Music Lovers, tourism lovers and beer lovers all gathered at the Eko Atlantic, Ikeja, Badagry, Ikorodu and Epe from December 24 to January 1, 2018 to celebrate a very exciting year. Star Lager’s presence was felt in all five locations, as they were all fully equipped with entertainment; ice cold Star Lager Beer and delicious canapes. In addition to the refreshments, Lagosians also had access to a variety of Star themed games as well as raffle draws and giveaways to end each night. The beer brand also ran a promo tagged #YouTooCanShine, where 30 lucky winners won N50,000 each by creating 30 – 60 seconds videos singing any song with the videos with the highest number of likes winning the cash prizes.